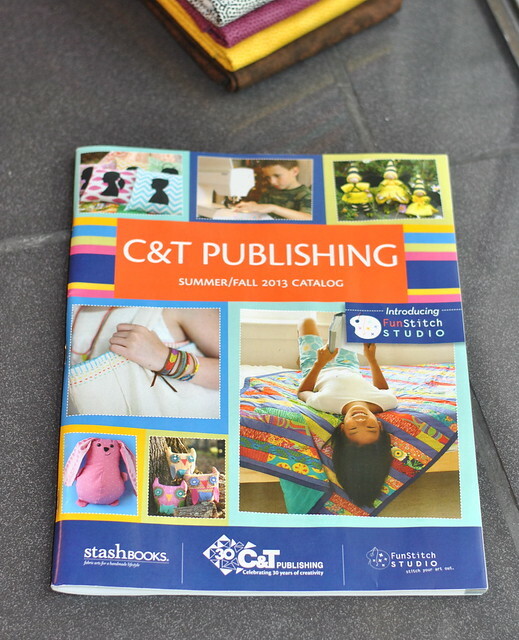 In: First up is my copy of the latest catalog from C&T Publishing. Yes, this whole book thing is finally starting to feel real! 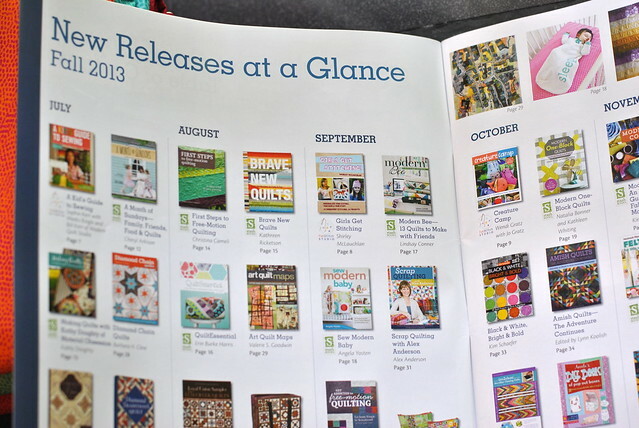 Sewing books just make me happy, and I'm so happy and grateful to be included in this lineup. 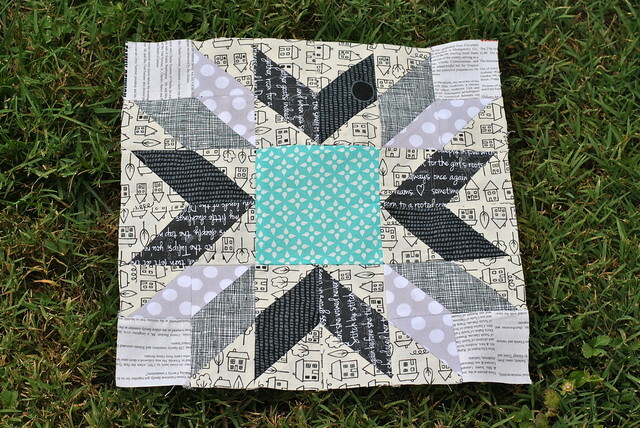 If you look close at p. 17, you can see previews of three of the quilts in the book! (From left to right, these were made by Elizabeth, me and Jessica.) The photos for Modern Bee were taken by the talented creative staff at C&T. In order to get them there, I had to box up and mail these precious beauties to California. I'll save that funny story for another day! Can I just tell you how many great books are coming out this fall? I'm ready to start shopping. I'm particularly excited for Angela Yosten and Sue Kim's books about sewing for babies and, of course, lots of new quilting books. Martingale and F+W also have some exciting books coming out this fall. 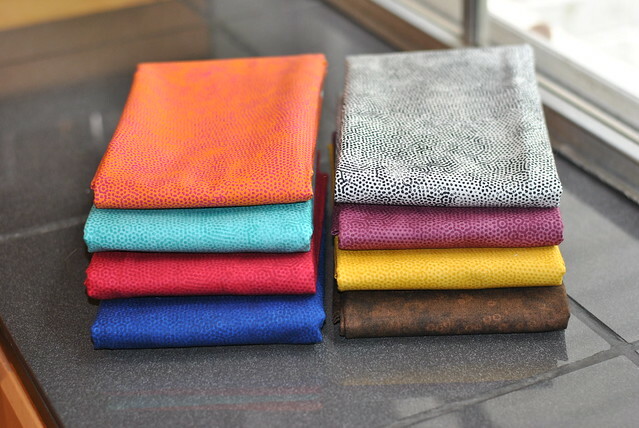 In: Also arriving this week was a beautiful stack of 8 yards of fabric from Andover, which they donated for a charity sewing project with batiks at Thistle Farms. I also have to send a huge shout-out to Mary, who donated these fabrics the other week from her own stash--well over 8 yards of goodness! Out: I finished my June bee block for do. Good Stitches and mailed it to Rachel. Didn't she choose the best color combo? So fresh! 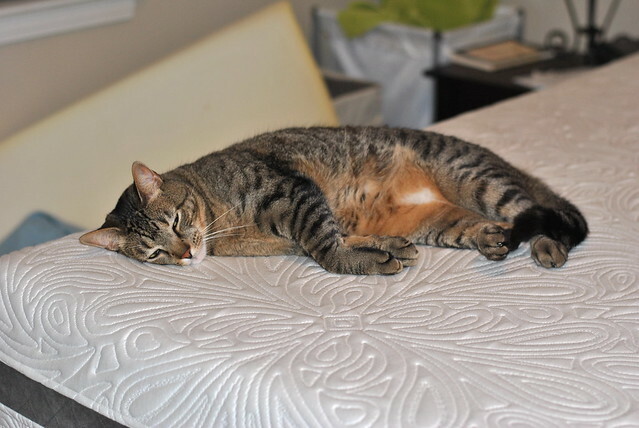 In: For the last few weeks, I've been campaigning hard for a new mattress, which was desperately needed. After doing some in-store shopping, I realized I could get a much better deal on eBay. When this arrived at our door, someone was more than happy to test it out. Verdict? Heavenly! What's the happiest mail you've ever received? I hope you have a great weekend, and that your mailbox brings lots of happiness. I can't wait to check out your book! And sleeping on a strange mattress while on vacation this week has given me a new appreciation for my own. I can't wait to get home to my own bed!! I am looking forward to your book. its on my wish list. By the way i know what it feels like to have a bad bed. Mine is heavenly now too. 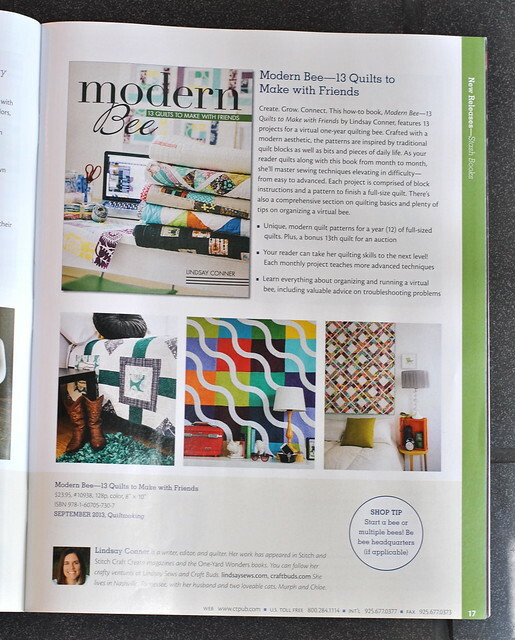 Fabulous ins and outs, and yay for making it into the catalogue, so exciting!